Many homeowners understand the realities of the times. In order to stay a step ahead of what is currently unfolding, a pre-sale inspection has become a must. Homeowners take a good look at their property with the help of a professional home inspector. The analysis of the structure, crawlspaces, attic, fixtures, etc; help to give a solid assessment that helps in many ways. A few homeowners do this to win the trust of potential investors in their property. It is important to mention that some State laws in the US make it compulsory for homeowners to carry out a pre-sale inspection. This helps to create a more transparent outlook in the real estate market. On the other hand, there is the angle of doing this form of inspection on an agreed timeline. This helps to figure areas that are affected by depreciation and things you can do to fix it. There are cases where people have a last minute change of mind about selling their properties. They discover that they may have underestimated the worth of their home. It is important to work with true professionals when you want to carry out this inspection. We will quickly highlight some of the benefits you get by following this rule. Ultimately, there is nothing that beats the full disclosure of facts that helps you take informed decisions. It takes away any unnecessary concerns: There are so many factors that influence what people do when they want to sell a home. 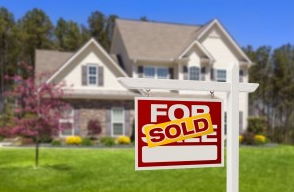 Interestingly, there are many ways to go about the sale of your home. The primary assignment of every pre-sale home inspector is to bring greater light to your decision making. You may discover that the crack on your wall does not necessarily mean that the foundation of the building has an issue. It makes you look professional: When you present the pre-sale inspection report to any corporate body, it gives you the edge. You are seen as a person that is thorough and very organized. You can create a chain of positive events for your home, business and finance with this single move.